Some of them I was able to photograph, as shown below. We saw it at the exact same spot where we observed it 2 years ago. Note the active primary moult: P10 is not yet fully grown. 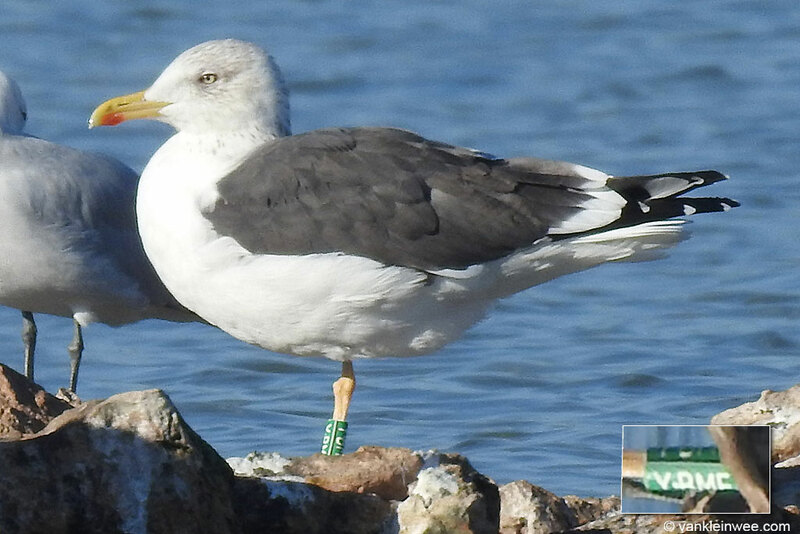 After our observation in 2017, YBMF actually returned to the Netherlands but even though it was observed just south of the IJmuiden colony, it was never observed it there. 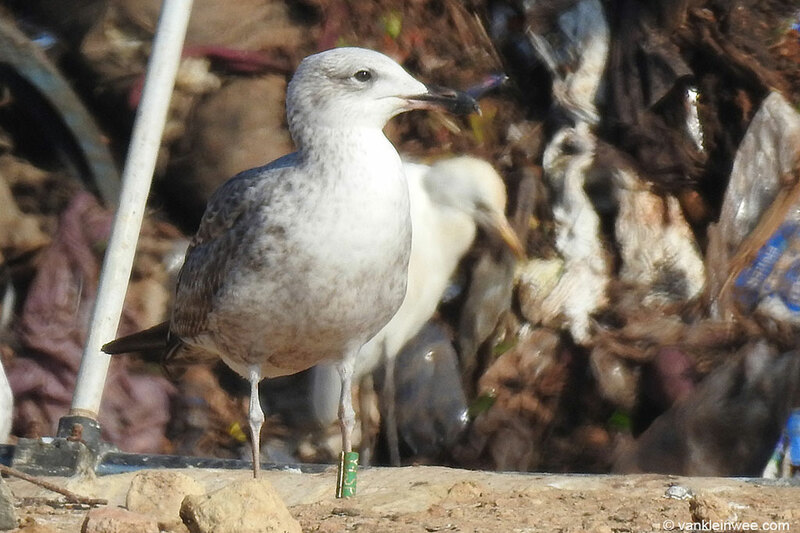 We came across second-calendar year YCSP at the landfill of El Jadida, on January 14, 2019, in a group of about 10,000 other gulls. 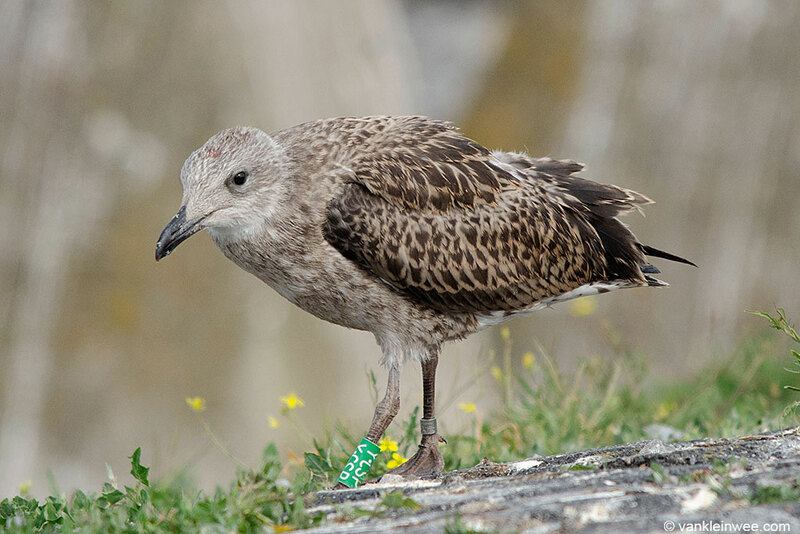 YCSP is one of 39 juvenile Lesser Black-backed Gulls that we colour-ringed in July 2018 and I have fond memories of it because it photographed well while it was still in the colony. 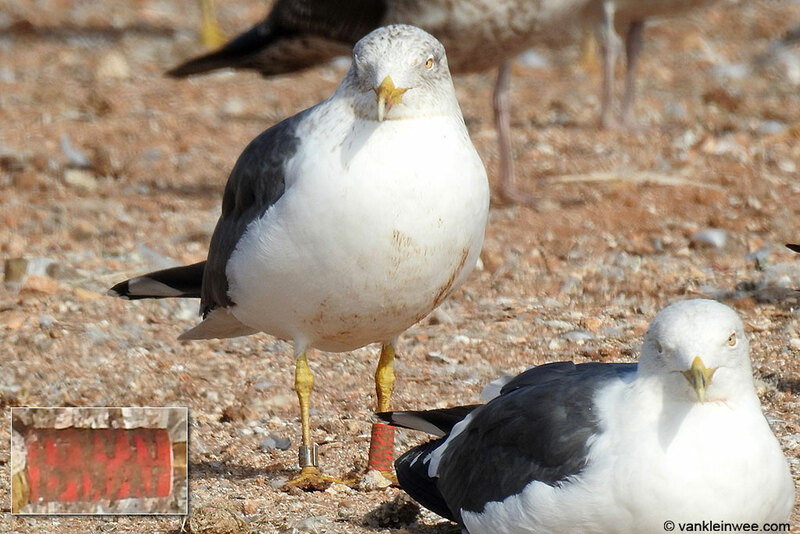 Ringed as a pullus by Mike Marsh in Suffolk, United Kindom, in 2005, Red RWN has been breeding in our Dutch IJmuiden colony since 2010 and is therefore very much part of our project. 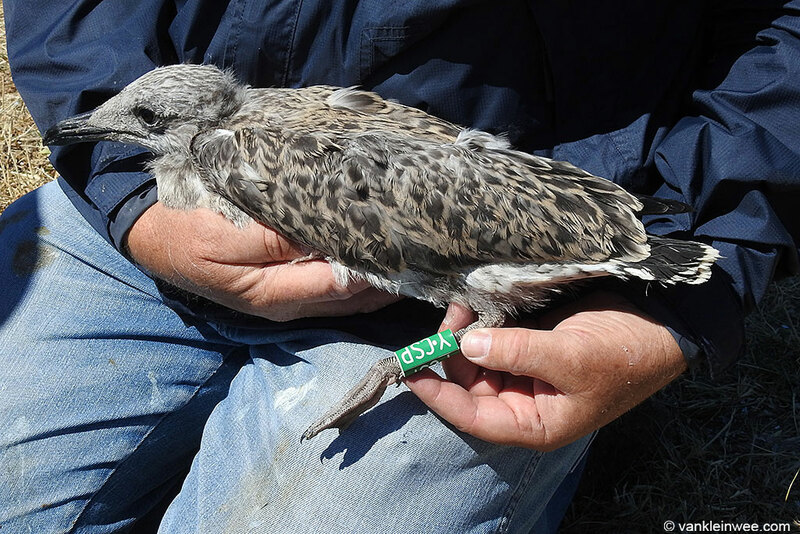 We came across her at the landfill of El Jadida, on January 15, 2019, and she was actually first observed there during her first calendar year back in 2005. 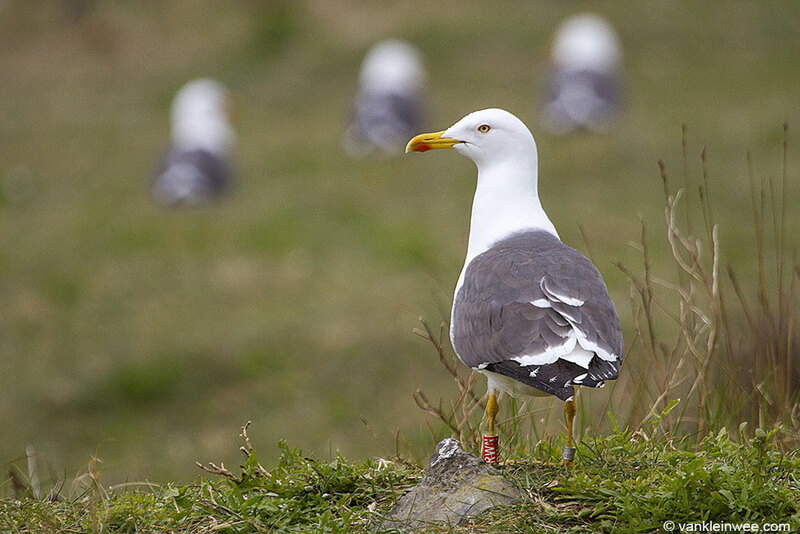 It is likely that she is wintering there every year. We know her well because her territory is in a visible location in the colony. It will be great to see her back again in a few months (if she returns), knowing that I have seen her all the way in Morocco.